Owning a cat brings a lot of joy into your life. Having a constant companion who loves you and always “mews” for attention is pretty special. Sure, sometimes cats get a bad rap or are misrepresented as being loners. But we cat owners know better. 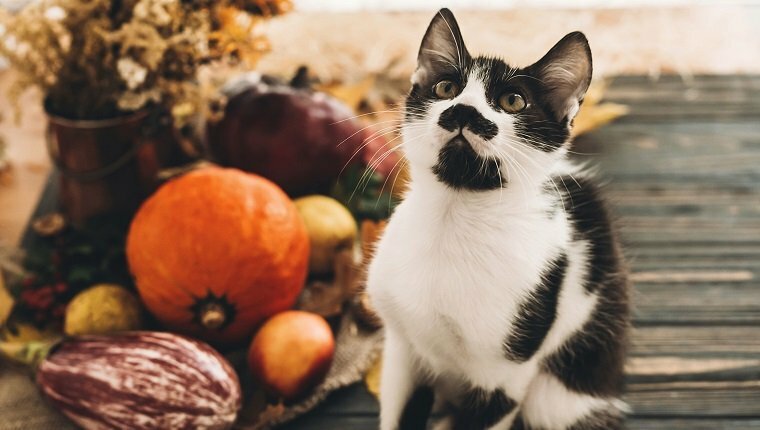 Here are 10 things that you should really be thankful for if you’re lucky enough to own a cat. When you own a cat, life is never, ever boring. If you’re sad, your cat will surely lift your mood with some of the funny antics they can get into. Cats like to run like crazy around the house, stalking imaginary prey. They’ll leap from chair to chair, sometimes knocking things over along the way, but always with a lot of upbeat energy. They may even decide that your hair or the drawstrings on your clothes could make great prey, which will always keep you on your toes. Cats give the most amazing snuggles and cuddles. If you’ve ever had a kitty curl up in your lap, you know exactly what I mean. And if you’re feeling sick, this is particularly advantageous. Some cats have a radar for sick people and will snuggle with you and even sleep right on top of you until you feel better. Did you know that owning a cat actually helps your health? Owning a cat and petting a cat can reduce the amount of cortisol, a stress hormone, in your body. Having a cat around can lower your blood pressure and decrease your risk of having a heart attack by as much as 40 percent. It’s really not that hard to imagine. If you’re single, especially if you’re a guy, you’re a lot more likely to get dates if you own a cat! 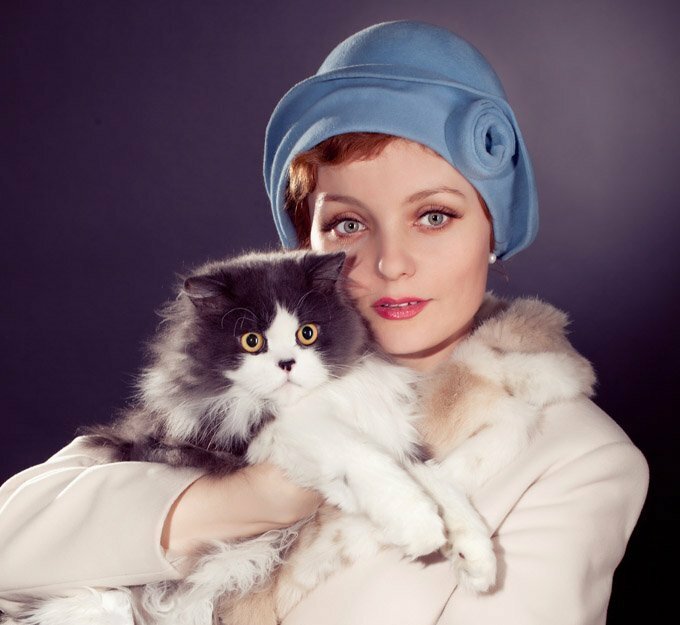 A British poll found that 90 percent of single women think men who own cats are nicer. And 82 percent of women are more attracted to men who like animals. Cats can make great alarm clocks, especially if you’re feeding them on a schedule. When breakfast time rolls around, kitty won’t let you sleep in. They’ll serenade you with purrs, meows, or even a paw to your face. But let’s face it, that is a lot more pleasant than waking up to a screeching alarm clock. Have you ever drifted off to sleep to the gentle sound of a cat purring right next to you? It’s amazing how relaxing a cat’s purrs can be. 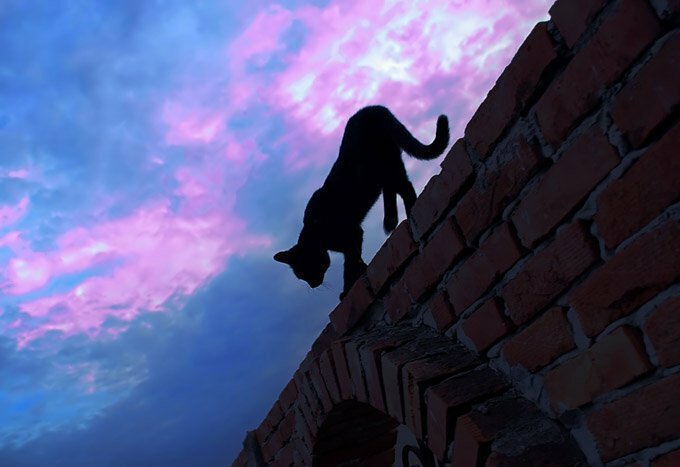 In fact, some researchers have discovered that purrs fall in a frequency that promotes bone healing and tissue regeneration. 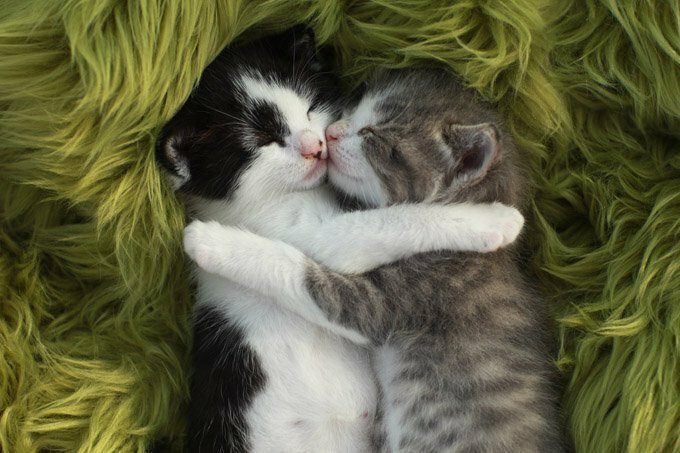 So not only are purrs relaxing, they may even be improving your health! It’s hard to be lonely when you own a cat. When you come home, a little fuzzy, furry friend is there waiting for you. And contrary to some misconceptions, cats aren’t huge loners. In fact, some cats will figure out what time you come home every day and wait by the door when they think you’re about to arrive! If you’re not paying enough attention to them, cats will also meow at you to get you to play. They need you, and that companionship is a great way to battle the loneliness blues. Cats are great companions, but they’re also very self-sufficient. They use a litter box and don’t have to be taken out multiple times a day like a dog. If you go out of town for a day, your cat will be fine at home, while a dog will need someone to let them in and out of the house. 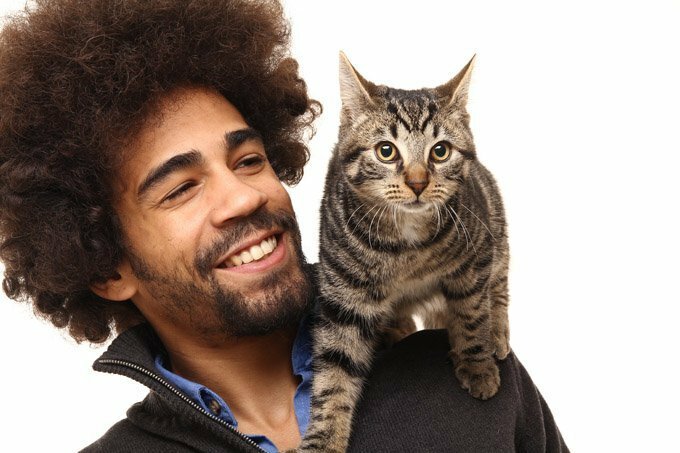 Of course, some cat owners may hire a pet sitter anyway, just to make sure their kitty doesn’t get lonely. If you have a cat, you won’t have to worry as much about creepy crawlies in your house! Cats are great hunters and they live for the chase. 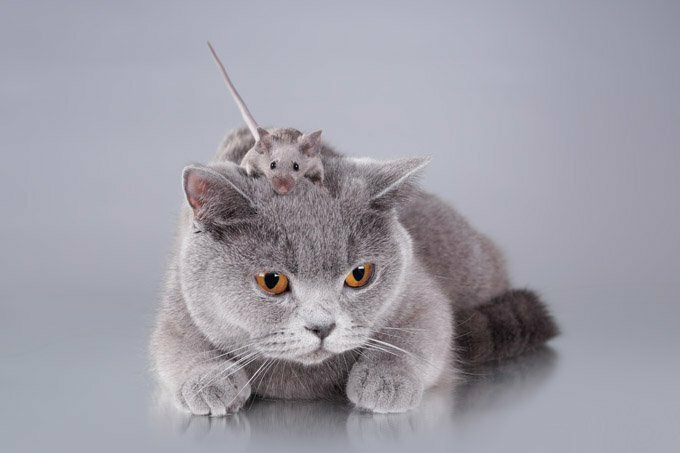 If they hear the rustling of a mouse or see the quick flash of a bug running across the floor, you can bet that they’ll immediately be in predator mode. Sure, they might sometimes bring you their kill as a present, but isn’t that better than having to kill the bugs yourself? Not only are we cat owners thankful for our furry friends, but our cats are very thankful for us! Many cats love to crawl in their owners’ laps, knead their legs, and just look up at them lovingly. They may stare into your eyes and purr and purr, showing just how much they love you. 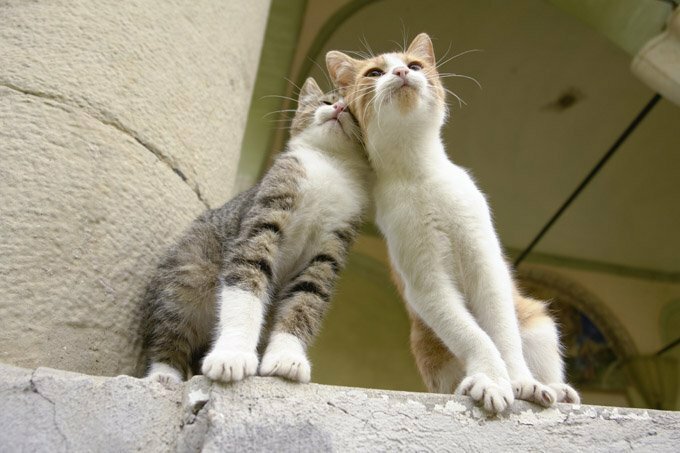 Cats have many different ways of demonstrating that they love their owners, from head butting to slow blinking. That thankfulness just makes their owners even more thankful right back! As a cat owner, what are you most thankful for? Let us know in the comments below!